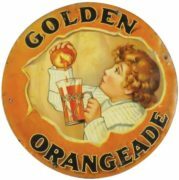 This is a metal advertising serving tray for the Phos-Ferrone Manufacturing Company, 1905. 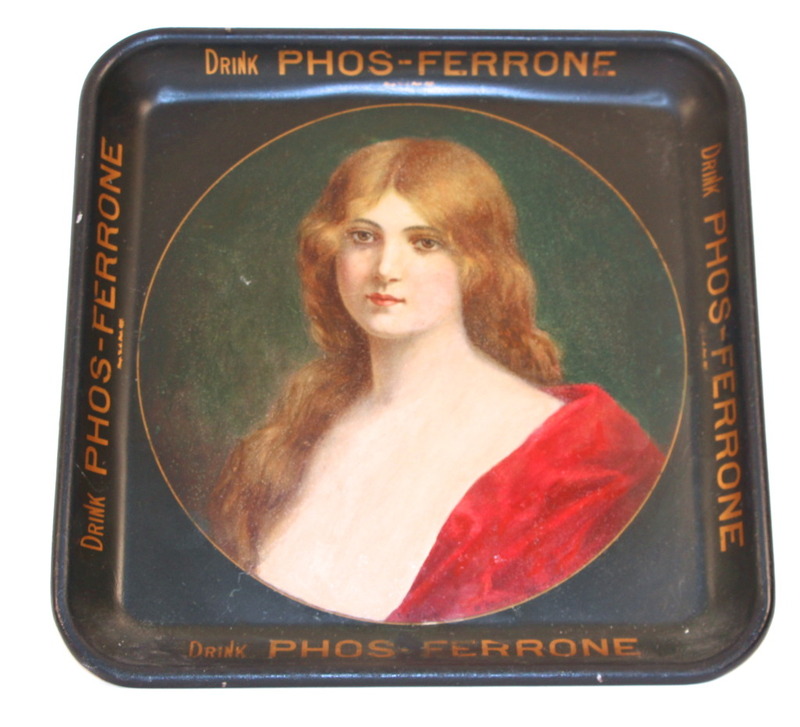 This vintage tray reads “Drink Phos-Ferrone” on the outer rims of the tray and features a beautiful Victorian woman. Phos-Ferrone was advertised as a “Nourishing, Refreshing, Tonic Drink”. 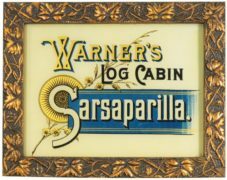 This drink may have had alcohol in it considering the medicinal references in their advertising. 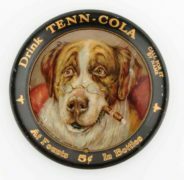 The Phos-Ferrone Manufacturing Company was established in 1883 located in downtown St. Louis, MO. 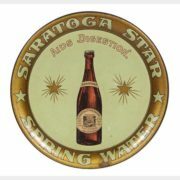 The company remained in business at least 25 years, as stated in an ad from 1908.